Love him or loathe him, there’s no escaping Russell Brand. Now the controversial comedian and self-styled revolutionary has been voted the fourth most influential global thinker by an leading current affairs magazine. Prospect magazine, which compiles an annual list of internationally renowned thinkers, has placed Brand among authors, philosophers and economists in this year’s top 10. He sits between Canadian economist and activist Naomi Klein, who came third, and Nobel-winning US economist Paul Krugman, who came fifth. Topping the list is French economist Thomas Piketty, author of “Capital in the Twenty-First Century,” followed by left-wing Greek finance minister Yanis Varoufakis. The shortlist of 50 names was compiled by the magazine’s editorial team, with individuals selected for their leadership in their fields and for engaging communities with critical issues in new and original ways. Readers were then allowed to cast their vote to select a top 10. 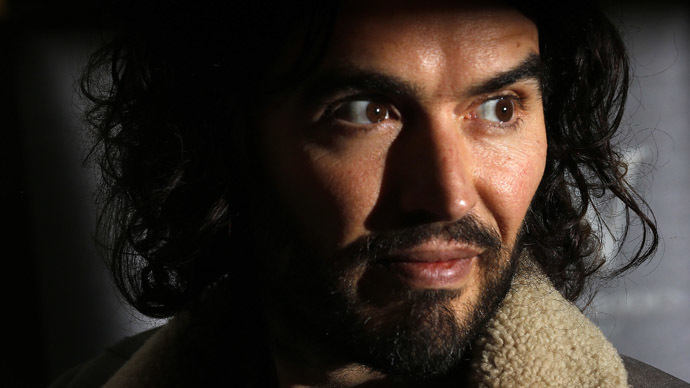 Russell Brand experienced a whirlwind 2014 with the publication of his latest book, “Revolution,” thrusting him into the spotlight as one of the UK’s most controversial figures. In his book he calls for the eradication of the nation state, huge redistribution of wealth and a radical overhaul of society where “corporate tyranny, ecological irresponsibility and economic inequality” are ended. Brand is using some of the profits from his book, however, to fund a café on the New Era estate in Hackney, a cause which he has championed and supported over the past year. He was part of a group of protesters who successfully resisted evictions. The café, which will be called the Trew Era Café, will be used to raise funds for local community projects.